Mr. , a 32-year-old security guard captain was responsible for Dr. Cho's safety during the crusade in Honduras. He accompanied Dr. Cho like a shadow, carrying out his responsibility for Dr. Cho's protection during the Honduras crusade. Actually, he and his staff stayed very close to Dr. Cho 100% of the time while they were on duty. 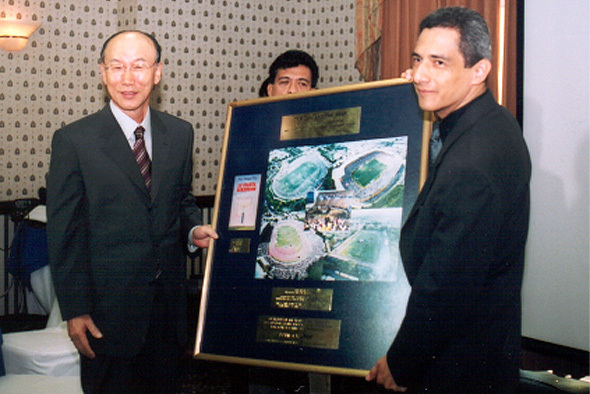 The night before the crusade, Captain accepted Jesus as his Savior at the Intercontinental Hotel where Dr. Cho and his associates stayed during the crusade. Even though he once insisted that he should work even on Sunday because he is an employed soldier and didn't believe in God even though he knew that God is good and is our Savior, he confessed that he was a sinner and accepted Jesus as his Savior. When he told his parents that he would be responsible for Dr. Cho's safety, his parents said, "Congratulations." He said that he never dreamed that he would believe in Jesus Christ. When Honduras experienced serious financial difficulty, a majority of the young people joined gangs to earn money quickly. Gang members increased to about 35,000 people. Gang members reside in the slum area. It is divided into the Latin origin and the Mexican origin, one on each side of the alley way, where they are clustered into each area. Recently, quarrels occurred between them and this became a big social problem. Right in this area, there is a Rescue Mission team who works for the rehabilitation of the gangs and social service. They operate a quality coffee factory and put the revenue to use for rehabilitation and a Christian leadership training program they call 'Cup of Hope'. 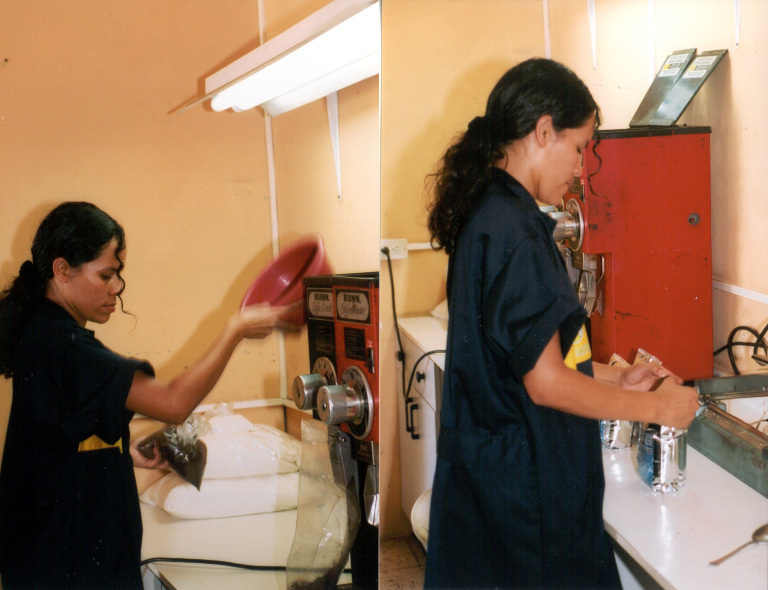 Honduran coffee is acknowledged as quality coffee, so coffee is being exported to the United States of America, and to Central and South America. There are five missionaries working with this project. Three of them belong to the Assemblies of God and the other two belong to another denomination. These missionaries have made progress in the 'Cup of Hope' project. The head of a gang repented, and the majority of his followers turned to Jesus Christ. Some of them wanted to be servants of God and are taking a training course. The missionaries said that their mission work to the gangs is very dangerous work, so it should be supported with much prayer and effective strategies. 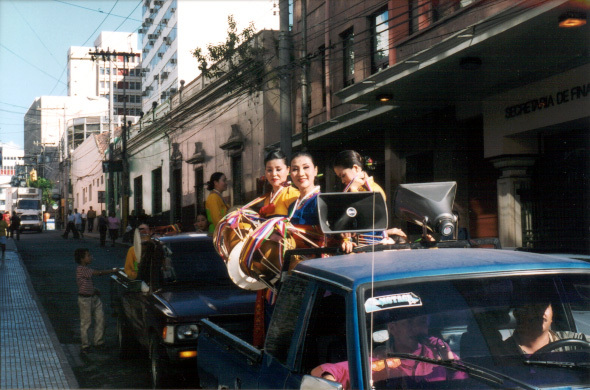 The Performers' Mission of YFGC went to praise the Lord and perform Korean folk dances for the Honduras crusade. 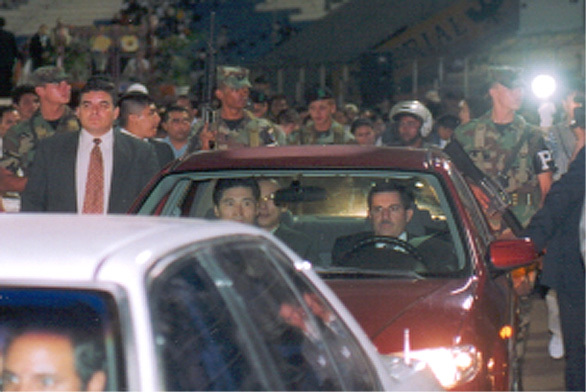 They were ardently welcomed by the people in the capital city, Tegucigalpa. They were also featured on TV in Honduras. During the second day of the crusade, they went out into the streets and walked around the marketplaces and parks, publicly announcing the crusade, dressed in their traditional Korean costumes and carrying fans and drums. Though the weather was very hot, they introduced Korean folk dances and cheerfully presented an eye-catching performance. They earned popular favor from the people. As the fervor of the performers' Korean drums and folk dancing was increasing, a TV cameraman appeared suddenly and soon began to take a series of motion pictures capturing the impression of the exhibition and the exotic mood. That film was broadcast on TV. The next day, the stadium for the crusade was filled with people because of the publicity of the performers' dance the previous day. In 1980, El Salvador faced a violent period of social and political unrest. Elim Church was planted while the social difficulties increased and many of the people living in El Salvador migrated to several countries including the United States of America, because of the civilian war in January 1981. 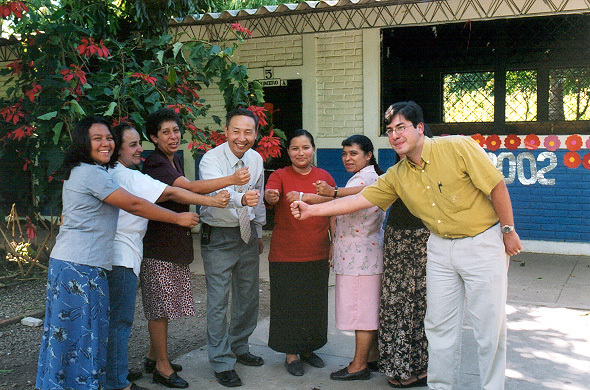 When Dr. Cho's Fourth Dimension was translated into Spanish, many people in El Salvador including the people who attend the Elim Church found a light in their darkest hour. It looked like there was hope. Elim Church sent Rev. Solorzazo to Yoido Full Gospel Church in Seoul, Korea. He learned about the cell system in Korea. Elim Church started to adopt the cell system in 1986. During rocky trials, the cell system became rooted in the Church, and developed into branch churches as well. This great church organization provided the opportunity for Dr. Cho's seminar in El Salvador. Sometimes Elim Church rents five stadiums and holds great meetings so that 100,000 people can attend. It is a beautiful spectacle to see the sugar cane and coffee trees spread widely in the north about 40 minutes from San Salvador. One can see aged and battered houses among the brushwood clumps here and there. Indian families and people of Indian origin live in clusters around the villages. Near the village, there is a Hesmon School in which about 500 students are studying. Presently, it is operated by the government. Previously, however, it was operated by missionaries and the Church. Missionary Lee, Yong-suk founded the school. He planted the school with the compensation that he received from a terrible traffic accident. He dreamed of making reforms by helping with the education of the people in El Salvador through this school. 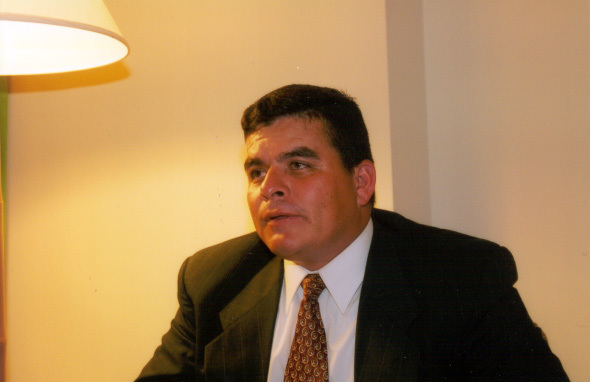 An indigenous people, Missionary Mario who cooperated with Missionary Lee to plant the school said that this enlightened movement is an effective mission in Honduras because illiteracy is almost 35%. There are two Korean churches in El Salvador. One is the Korean church founded by Missionary Lee, Young-suk. The other was founded by Missionary Park, Gi-chang two years ago.